Which gluten free ingredient are you looking for? Many food stores have a special section set aside for gluten-free ingredients, but some spread them throughout the aisles. To save time stop at the customer service desk to find out what their policy is and whether they offer a list of gluten-free items. You can sometimes find this same information on the store’s website. If your grocery or supermarket has not caught on to the importance of stocking gluten-free items, visit your local health food store or natural products market. You can also order gluten-free foods online on company websites and at amazon.com. 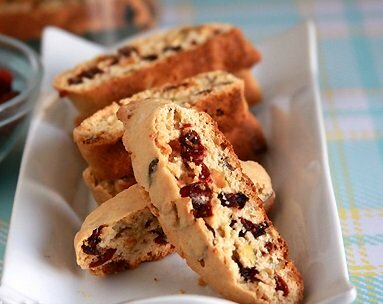 Gluten-free baking is easy when you know the essentials about gluten free ingredients. Follow the guidelines below and you will be on your way to a happy, healthy gluten-free baking life. Note: This material is not intended to provide medical advice, which should be obtained directly from a physician. There are scores of flours made from grains, grain-like plants and nuts that do not contain harmful gluten. The gluten in wheat flours gives important properties to regular dough, so if you simply eliminate it without compensating for it in some way, you'll have disappointing results. Flour is one of the main gluten free ingredients used when baking and an understanding of the basics will insure your baked product are first-rate. Here are some the Gluten Free Flours, that when used in the right combinations, will insure successful gluten-free baking. Rice in all forms (white, brown, basmati and enriched rice). Also amaranth, buckwheat (kasha), Montina, millet, quinoa, teff, sorghum and soy. Nut flours (though you have to be careful, to watch out for cross-contamination if processed or package in facilities that process wheat products). Legumes (also called pulses) include peas, beans, lentils and peanuts. Legume flours combine well with other GF flours and they complement recipes made with molasses, brown sugar, chocolate, pumpkin, applesauce and rhubarb. Leaveners when used in baking, produce carbon dioxide, which, when heated, expands cell walls and result in baked goods rising with a light even texture. Baking soda and yeast are GF but some baking powders are not so look for the Gluten Free label. 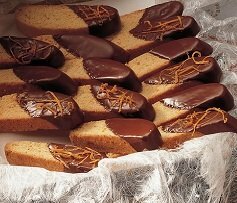 Most commonly used in cookie, cakes and Biscotti are baking powder and soda, but as long as we are on the subject will cover yeast. Sugar is a simple, edible, crystalline carbohydrate. Sugar comes in many different forms, however, all variations have a sweet flavor. The main types of sugar are sucrose, lactose and fructose. Common table sugar is typically sucrose which is extracted from cane or beets. And as you probably know, sugar is added to many foods, and drinks. White sugar is one of the most popular sweeteners used in American kitchens today. From baked goods to beverages, this all-purpose sweetener has been a favorite for centuries. 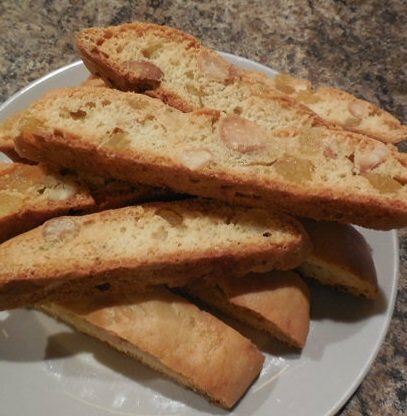 For more on this see Artificial Sweeteners under the Sugar Free Biscotti Recipes.